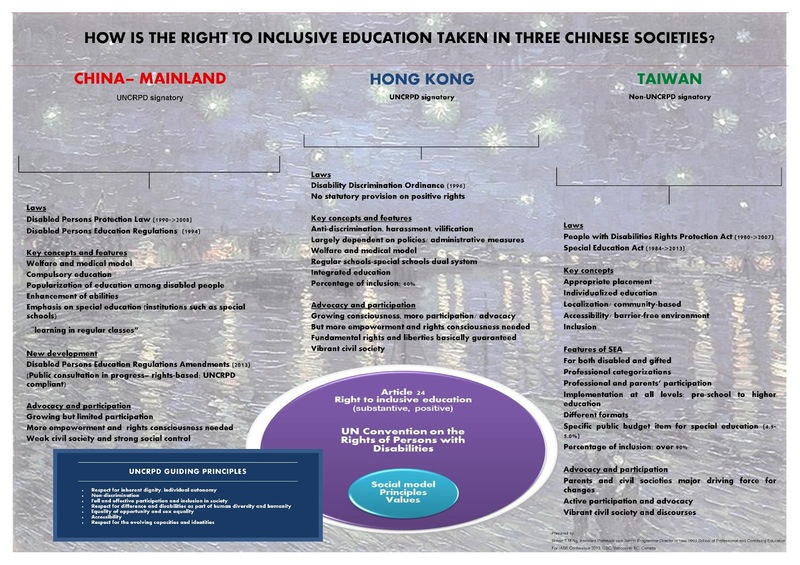 How is the right to inclusive education being taken in three Chinese societies? The United Nations Convention on the Rights of Persons with Disabilities (UNCRPD) stipulates disabled persons' right to education and member states' obligation to provide inclusive education. This poster presentation at the 13th Biennial Conference of the International Association of Special Education (at UBC on July 7-11, 2013, Vancouver, BC, Canada) outlined an on-going research comparing how the right to inclusive education is being taken in the specific legal and policy contexts of each of the following Chinese societies: China Mainland, Hong Kong and Taiwan. 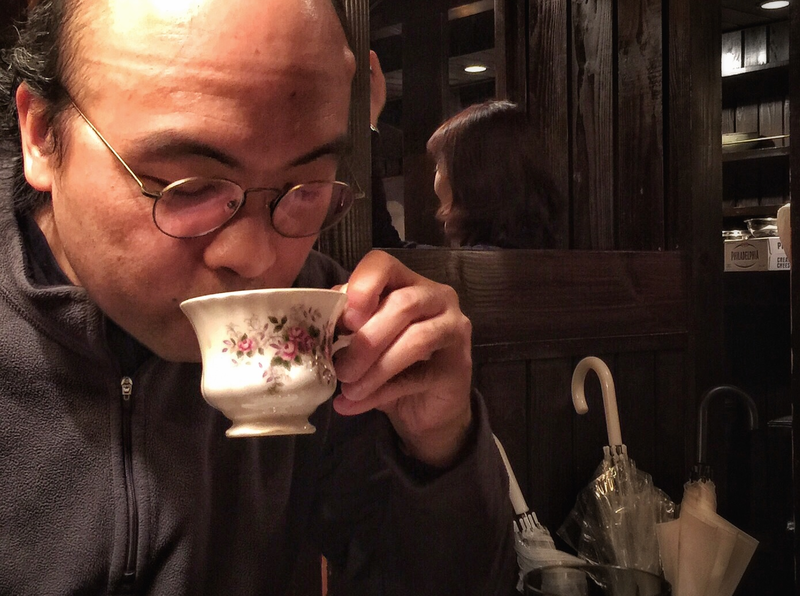 While the former two are signatories to the UNCRPD, Taiwan is not.